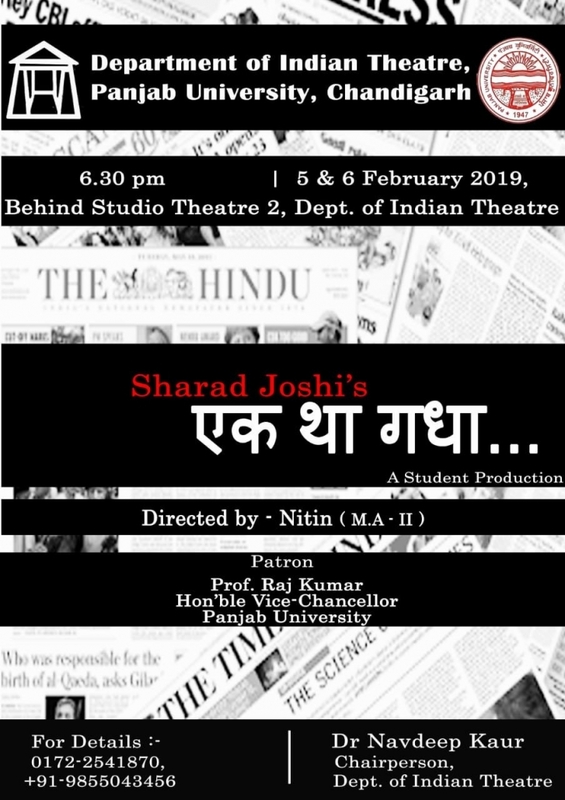 The Department of Indian Theatre, Panjab University, Chandigarh is going to stage its third student production on 05-02-2019 and 06-02-2019 at 6:30 pm. in the Department. The duration of play “Ek Tha Gadha” is one hour and twenty five minutes.